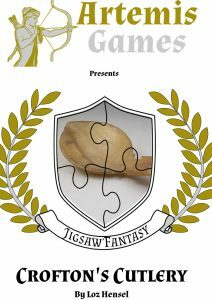 Third Thursday Freebies are generally a free digital short in the Jigsaw Fantasy style, but this month we have something special. We’ve partnered with The Giveaway Geek to run a special freebie this month – we’re giving away two full sets of Location Cards. 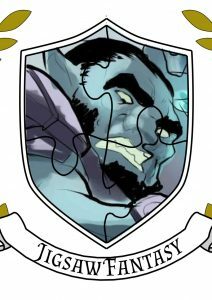 This month’s freebie is a small Noggin drawn from the Jigsaw Piece The Floating City – focusing on the priests of their Academic Quarter, who defend the elderly and the young with the gifts of their goddess. As with all Jigsaw Fantasy products this also includes a series of “Jigsaw Links” giving advice on how to tie the elements into your own setting, using examples drawn from many different fantasy worlds. And if you enjoy that, you’ll love our upcoming kickstarter – so keep your eyes peeled. Once again we come to the Third Thursday – the earliest one possible in fact. As this saturday is Free RPG Day, we’ve decided to go with something slightly larger this month – a pair of Minor Adventuring Parties, each with their own flaw keeping them from hitting the big time. 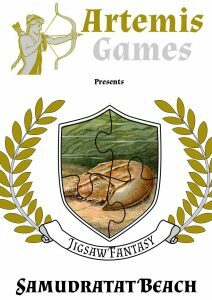 This month’s freebie is from Jigsaw Fantasy. It’s a short piece, as we’ve not yet decided how much to release and we’d rather grow over time than shrink, but it’s an interesting and versatile one, looking at a desert-dwelling beast to use in your games.